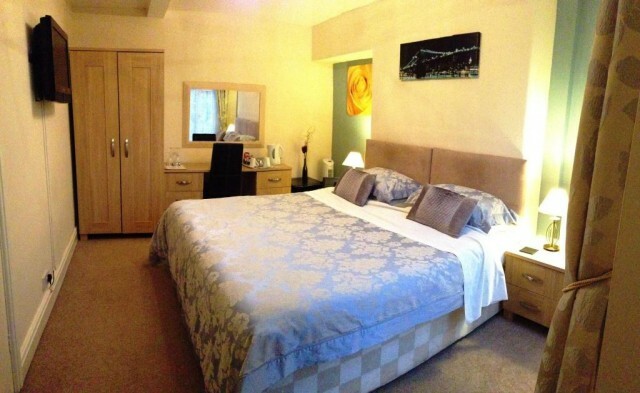 This Superior Room has a king-size & a single bed. The modern en-suite has a larger than standard shower cubicle (1200 * 800), basin & wc. The TV is a wall mounted 32\" with built in Freeview. There is a drinks cooler, iPod docking station, hair dryer, fan,complimentarytea, coffee, drinking chocolate & biscuits. This room although double glazed is at the front of the house so there will be a slight degree of road noise. Each room is hard wired for the internet as well as wi-fi (free). Please Note;We do not take children under the age of 3. This Attic Room (up 2 flights of stairs) has a zip & link Super-king bed. The modern en-suite has a shower, basin & wc. The TV is a wall mounted 32\" with built in Freeview. There is an iPod docking station, hair dryer, fan,complimentary tea, coffee, drinking chocolate & biscuits. This room has skylights. Each room is hard wired for the internet as well as wi-fi (free). This Attic Room (up 2 flights of stairs) has a zip & link Super king bed. The modern en-suite has a shower, basin & wc. The TV is a wall mounted 32\" with built in Freeview. There is an iPod docking station, hair dryer, fan,complimentary tea, coffee, drinking chocolate & biscuits. This room has skylights. Each room is hard wired for the internet as well as wi-fi (free). This Superior Room has a zip & link super-king bed, so it may be either a twin bedded room or a room with one 6ft bed.The modern en-suite has a larger than standard showercubicle (1000 * 800), basin & wc. The TV is a wall mounted 26\" with built in Freeview. There is a drinks cooler, iPod docking station, hair dryer, fan, complimentary tea, coffee, drinking chocolate & biscuits. Each room is hard wired for the internet as well as wi-fi (free). 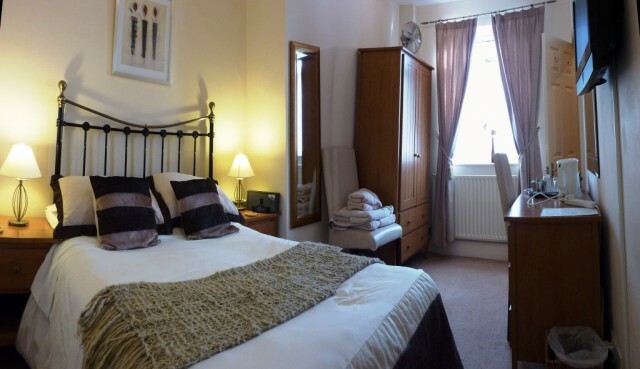 This Regular Double Room has a standard double bed. The small, modern en-suite has a shower, basin & wc. The TV is a wall mounted 26\" with built in Freeview. There is an iPod docking station, hair dryer, fan,complimentary tea, coffee, drinking chocolate & biscuits. This is not a large room, our Superior rooms are larger. Each room is hard wired for the internet as well as wi-fi (free). This ground floor room has a king-size bed. This room with it been on the ground floor does not have a view. The bathroom although on the small side has recently undergone a full modernisation, the en-suite has a shower, basin & wc. The TV is a wall mounted 32\" with built in Freeview. There is an iPod docking station, hair dryer, fan, complimentary tea, coffee, drinking chocolate & biscuits. Each room is hard wired for the internet as well as wi-fi (free). 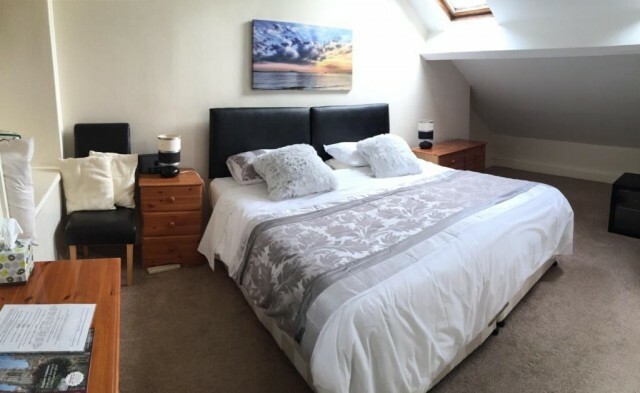 This spacious ground floor room room has a double & 2 single beds.The modern en-suite has a large walk in shower, basin & wc. There is also a 2nd wc & basin off the bedroom. The TV is a wall mounted 32" with built in Freeview. There is a drinks cooler, an iPod docking station, hair dryer, fan, complimentarytea, coffee, drinking chocolate & biscuits. Each room is hard wired for the internet as well as wi-fi (free).This room is on the ground floor so it does not have a view. There are black out blinds as well as vertical blinds on the windows. 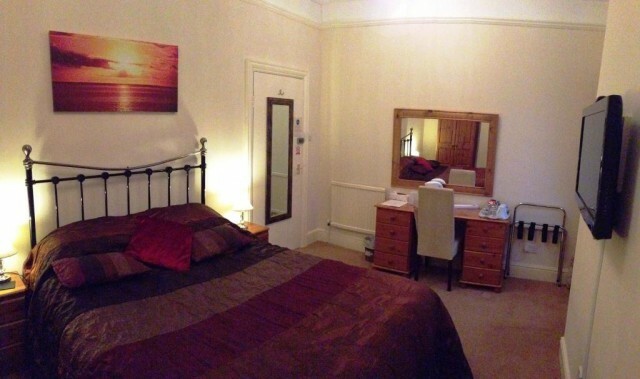 This spacious ground floor room room has a double & 2 single beds. The modern en-suite has a large walk in shower, basin & wc. There is also a 2nd wc & basin off the bedroom. The TV is a wall mounted 32" with built in Freeview. There is a drinks cooler, an iPod docking station, hair dryer, fan, complimentarytea, coffee, drinking chocolate & biscuits. Each room is hard wired for the internet as well as wi-fi (free).This room is on the ground floor so it does not have a view. There are black out blinds as well as vertical blinds on the windows.